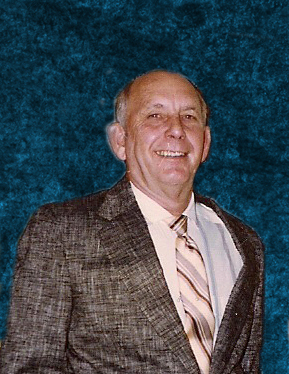 Charles Clayton “Rosco or CC” Ross passed away on November 21, 2018 at the age of 87. He was preceded in death by his first wife, Edith Ross and his children, Charles “Peanut” Ross, Jr., Dale Ross, Sandra Robey, and Teresa Wright. He is survived by his wife, Janice Ross; son, Ricky (Wynona) Ross; step children, Lynn (Jim) Helton, Laura Pranger, Mike Pranger, Robert (Karen) Skelton, Angela (PJ) Pongeraytor; grandchildren, Charles “Chuck”, lll, Anthony, Jeremy (Michelle), Victor, Kelly (Shelby), Kristen, Lauren, Alyssa, Haley, Christopher, Zachary, Tyler, Bryan, Madison, DJ, T’shan, Devin and Chelsea; great-grandchildren, Natalie, Christian, Hailie, Jeremy “Bam-Bam”, Jr., Madelyn, Emma, Lily and Ensley; sisters, Evelyn Ross, Beulah Walter; brother, Lewis Ross (Evelyn); brothers-in-law, Bob Robey and Skipper Wright and a host of nieces and nephews. Funeral services will be Monday, November 26, 2018 at 11:00 a.m. in the chapel of Lawrence Brown-Service Funeral Home with Robert Small officiating. Interment will follow in Pineview Memory Gardens. Visitation will be Sunday evening from 2:00 – 4:00 p.m. at the funeral home. Pallbearers will be Victor Grant, Kelly Grant, Zachary Dukes, DJ Pongeraytor, Devin Kynard and Jeremy Brickhouse. Honorary pallbearers will be Christopher Dukes, Chuck Ross, Anthony Durden, William Ross.